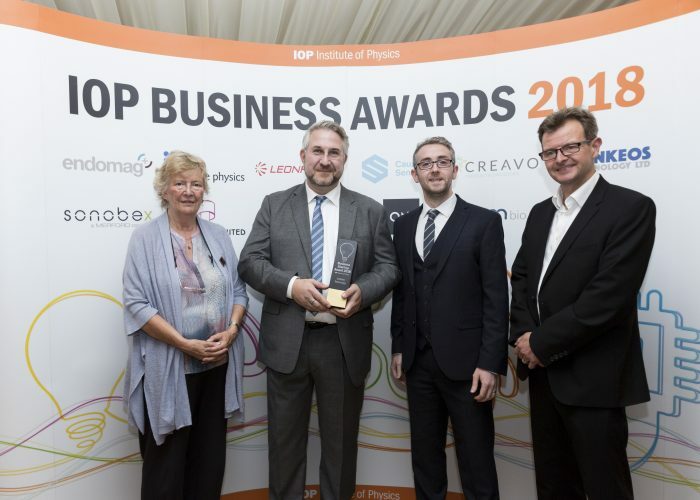 Last night, Lynkeos was announced as one of the inaugural Institute Of Physics Business Start Up Award winners at a Parliamentary reception in Westminster. As well as an impressive (and heavy) award, we also made it on to the front page of the University of Glasgow website. Lynkeos’ Managing Director Ralf Kaiser said “We are proud and honoured to receive this prestigious IOP Award, which rewards the efforts of the Lynkeos team to turn basic science into a game-changing product“. You can read more about this award here and on the official IOP website too.